seasons | Shelf Elf: read, write, rave. It’s the time of year when the teachers here at school start combing the library shelves for books about apples. Apple orchards, apple trees, apple pies, apple ABCs, apple everything. Soon, the little people will venture to the apple farm for hay rides and cider and some picking. 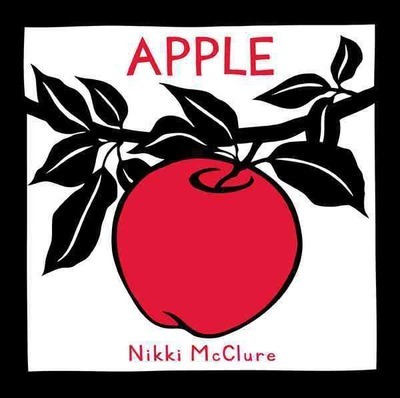 Nikki McClure’s stunning little book, Apple, is now my new favourite apple-themed book, and it’s proof that it’s hard to get better than simple, done beautifully. Working in black, white, and Macintosh red, McClure traces the journey of one perfect apple, from the beginning of fall, into a child’s lunch, to the compost heap, all the way through to the next spring. The story emerges mostly through the amazing paper cuts, which capture the community, energy, and warmth of fall in their bold, captivating simplicity. 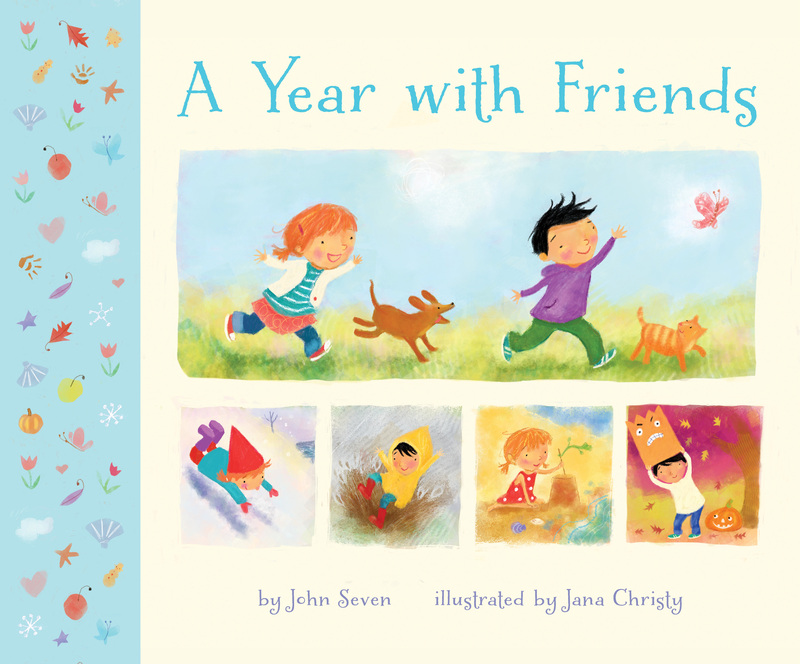 Each picture faces a single word in block letters to inspire the reader’s interpretation: FALL, FIND, SNEAK, HIDE, SECRET… This little book is meant to be read slowly, to be savoured. It ends with a lovely explanation of the life of an apple tree and the process of composting. 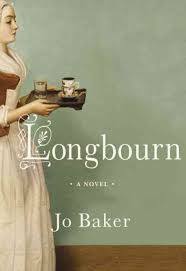 It’s interesting to note that there is a circularity to how this book came to be that echos the rhythms of nature portrayed here. On the last page, McClure shares that this book was her first book, self-published and handmade in 1996. She sold her copies in local bookstores. The opening image of the fallen apple under the tree was her very first paper cut. It’s amazing what grows from small beginnings. Apple is published by Abrams Appleseed. This entry was posted in Illustration, Picture Books and tagged Abrams Appleseed, apples, Nikki McClure, seasons on September 24, 2012 by shelfelf.